It is as simple as 1-2! How to update your account information? How to post ads from smart phone or tablets? How to share your ads? How and from where to manage you ads? How to edit/resize image for upload? How to subscribe ads via email? How to download and install the Android App? 1) How to register for an account? You can register with your existing email address. Click "Register for a free account" on home page. Fill the required information and click "Create". You will receive a verrification email from us (one time only). Kindly check your email including SPAM folder just in case. 2) How to update your account information? Update your account information as desired > Click Update. You can also change username and password from the links in "My Account". 3) Who can post ads? Note: This website is for users in or from Nagaland. Other ads if found posted and not relevant may be deleted without any notice to the publisher. Anyone can post ads on this site. You need to be registered first to post ads. You need not be an owner of a particular business/service to post ads. You may also post any useful information which you think others can make use of, such as - job vacancies, items for sale, services, outlets, shops, places, community events, and many more listed in categories, except those for items not allowed as listed in our 'Listing Policy". But you should not post an ad impersonating as the owner of a particular business/service etc. While posting ads of business/services you do not own, clearly specify in your ad description or choose appropriate post information filters. We request users not to published items not allowed as specified in the 'Listing Policy" , and such ads found posted will be removed without any notice/explanation to the publisher. User account may be banned if found publishing spam ads and banned items. 4) How to post ads? You can access www.eadserve.com from a computer, tablet or mobile device. After you have registered for an account, click on "Publish your ad for free". Upload an Image (recommended). Your ad will look better. 5) How to post ads from smart phone or tablets? Access www.eadserve.com on your favorite browser on your smart phone or tablet. Or using the eadserve Android App. Scroll down and click "Publish your ad for Free"
Upload an Image (recommended) by tapping on "Click Or Drop for upload Images"
Image Upload: Note the image size we permit for upload. If you have a larger image, you can easily reduce size/compress image using any image tools such as paint, Microsoft Office Picture Manager (if you have Microsoft Office installed), Photoshop, Gimp (free tool) etc. 6) How to share your ads to social media? Once your ad is posted, you can share the same ad to other if required, in many ways. To share on Social Media: Click on the Social Share icons (Facebook, Twitter, Google Plus etc) to share your ads. To ad by email: If you would like to share an ad to a friend, click the "Share" button on ad item page. Fill the required details and press "Send". Where to manage you ads? If you have registered, you can view your listing under your account. You can manage your ads from there- edit, delete etc. 7) How and from where to manage you ads? 8) How to edit/resize image for upload? If the image you want to upload for the ad is too big, it will not be accepted. Maximum image size is 2MB. For the ads, your images need not be too big and it will load faster. It should ideally be in a few hundred KBs. If you are on Windows, you can use paint or Microsoft Picture Manager to easily resize your image within limits. We will not be able to go into the details of image editing, but look for tool options to resize the image in percentages. Example: if your image is of dimensions 1024x1024 pixels, you can reduce it by 50% to bring down to 512x512 pixels. That way the image size will also be reduced. 9) How to subscribe ads via email? You can subscribe to new listings so that you are updated of new listings when they are posted on the site. To subscribe to all new listings, go to "//eadserve.com/search" or click on "All Listings" from the home page. Enter your email address in the subscribe box (top left) and click "Subscribe Now". To subscribe to particular category, click on a particular category from the home page. In the next page, enter your email address in the subscribe box (top left) and click "Subscribe Now". To subscribe to particular search terms, enter the term you are interested for in the search bar from home page and click search. In the next page, enter your email address in the subscribe box (top left) and click "Subscribe Now". For example: if your entered "Used Mobiles", and subscribed, you will receive updates on new listings by email. 10) How to download and install the Android App? While you can use any browser to access this website by entering "www.eadserve.com", if you like you may also download our Android App to easily access this service without the need to open browser and type website address each time. You can download the Android app to view and also to post ads right from your Android smart phone. 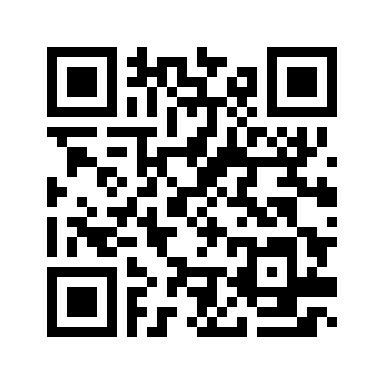 To download the app, click this link: //eadserve.com/app/download-app.php or scan the QR code with a QR Scanner on your phone. This is required because our app is hosted on this website and not on Google Play yet. Once the app is downloaded, pull down your notification area and tap on it to install. Or if you do not find it in your notification area, open any file explorer on your phone and go to downloads folder. Find the app and tap on it to install. That's it. You can now start using the App.